His sound combines traits from Garage, 2 Step and House mixing it together with ethereal and butchered vocal samples, with a dash of folk for good measure. This eclectic sound can be attributed to his equally eclectic list of influences which range from Cornelius, Richard James and Atari Teenage Riot to the movies of Studio Ghibli and even the pitch black comedy of Garth Marenghi’s Dark Place. 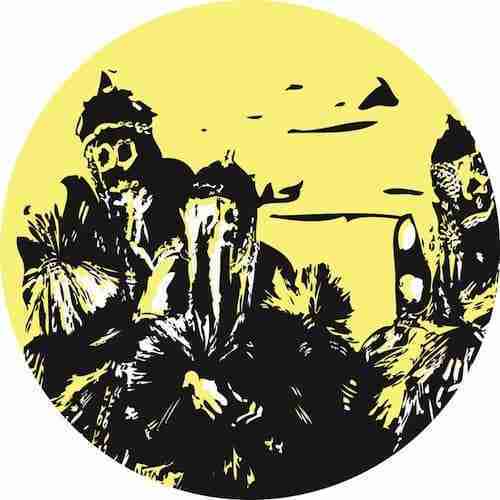 Juk Juk’s debut release “Winter Turn Spring/Frozen” released on Kieran “Four Tet” Hebden’s Text imprint, saw critical acclaim and since this release, his career has been gently gathering momentum. The most recent release from Juk Juk, the double A side of “Wars” and “When I Feel” is coming soon on his own imprint Nommos. “Wars” has a dark melancholic feel, with doom ridden beats driving things forward, whilst celestial synths piece through the otherwise murky landscape. “When I Feel” is almost bouncy in comparison, a shiny minimalist House track punctuated with reverse strings and the signature vocal butchery. The two tracks offer a contrasting yet highly satisfying sonic palette. On present form Juk Juk is undoubtedly a name to watch with his ever evolving genre tweaking style progressively altering the modern electronic landscape within which he operates. For fans of Four Tet, Caribou, Flying Lotus and the like this is essential listening.